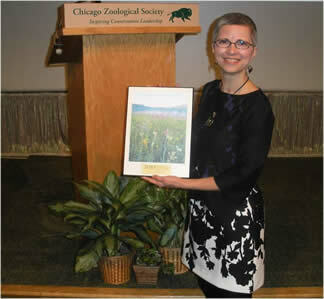 Terracom's Christine Esposito was recognized with a 2010 Grassroots Conservation Leadership Award by the Chicago Wilderness Habitat Project for her work promoting Wild Things: A Chicago Wilderness Conference for People & Nature. “These are the Academy Awards of conservation,” said Karen Glennemeier, Science Director of Audubon Chicago Region. “All nominees are proposed and selected by the region’s leaders and volunteers.